Image Above: The first lesson starts with a video, discussion about design elements & principles, and making a basic style Ikebana. 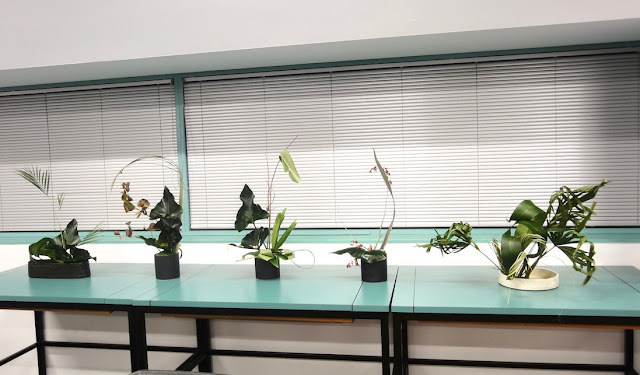 Image below: Free style Ikebana using leaves only at the second lesson. The students will make sculptural & 2D works from the 3rd lesson. Next terms will start from 16 August 2017 & 25 October 2017 .